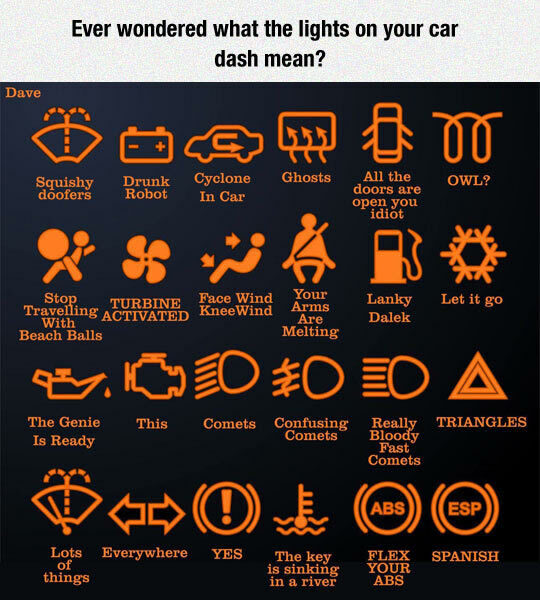 Are your car’s dashboard lights gibberish to you? There seems like there are a million of these little lights that pop up at the most inconvenient of times, but do you know what they all actually mean? Inspired by this article, I wanted to refresh you all on your dashboard lights! Here’s a helpful guide for you! 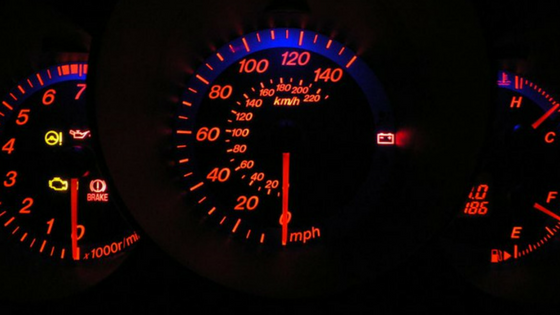 Check Engine – Indicates a fault that the engine computer has detected with the engine management system, usually related to emissions, but this light could have a wide range of causes. Battery/Charging Alert – Voltage level is below normal and/or the charging system is not functioning properly. Oil Pressure Warning – Illuminates when the oil pressure sensor has detected low oil pressure/loss of oil pressure. Immediately get your oil checked. Temperature Warning – Indicates that your vehicle’s temperature has exceeded its normal limits with a possibility of overheating, and usually demands an immediate stop. Brake System Alert – This light indicates a low brake fluid level, leaks, or low brake linings. Sometimes this light illuminates when there is an ABS fault. If this stays on, you should get your brakes checked. ABS Warning – Means that the Anti-lock Brake system has detected a fault. It doesn’t result in you losing your brakes, but additional safety features may be switched off and you should seek help to resolve any issues. Bulb Failure – Indicates a problem detected with one or more of your car’s exterior lights. Airbag Fault – This could be informing you that the passenger airbag has been turned off manually. But, if this light stays on, it means a fault has been found in the airbag system. Tire Pressure Monitoring System (TPMS) – Low air pressure has been detected in a tire(s) or there may be a sensor malfunction. Traction Control – This light usually illuminates along with the ABS light when the vehicle detects a system fault. It also comes on to warn the driver of hazardous road conditions it detects. Powertrain Malfunction – The engine management system has detected a fault that requires your engine to be shut down. 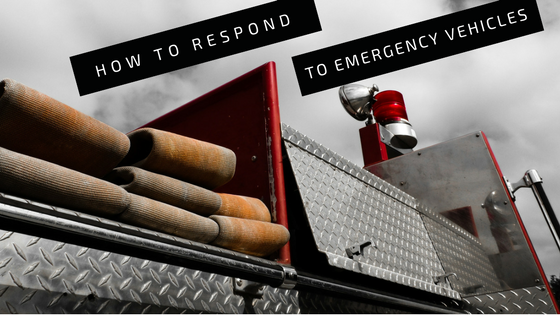 You should seek immediate help. Fog Lamp – This simply is telling you that your vehicle’s front fog lamps are on.